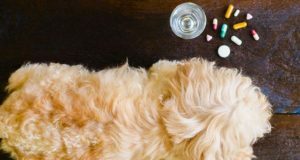 Most dog owners have heard of canine parvovirus – hopefully not because your puppy has been diagnosed with the virus. Commonly known as parvo, this virus is highly contagious. Puppies under 4 months old and adult dogs who have not been vaccinated are more susceptible. The virus affects the infected canines gastrointestinal tract and can be spread by contaminated environments, people or stool, and also by direct dog-to-dog contact. Parvovirus is an extremely dangerous virus that needs to be taken very seriously. If you've ever had a puppy, your veterinarian has probably spoken with you about parvovirus at your first visit. If your puppy becomes infected, the virus can contaminate everything your pet comes in contact with including food and water bowls, collars and leashes and the surfaces of his kennel. It can also contaminate your skin and clothes when you handle your dog. One of the reasons that parvovirus is so dangerous is because it is resistant to cold, heat, humidity, and drying. The virus can survive in the environment for long periods of time, as well. If your dog contracts parvo, it is best to keep him quarantined until he's been treated. Because of how easily contagious parvo is, it is commonly found in kennels, animal shelters and other canine boarding facilities. It's also been reported in coyotes, wolves and foxes. Experts believe that it effects all members of the canine family. So, what do you need to know about parvovirus, and how can you recognize the symptoms? As I mentioned, your veterinarian will likely have a quick parvo conversation with you the first time you bring your puppy in for shots or his first check up. If she doesn't, ASK! The more information that you have, the better prepared you'll be to protect your pet. As this article from the American Medical Veterinary Association explains, it is extremely important that you seek medical help as soon as you notice any of these symptoms. Although fatalities are not uncommon in parvovirus patients, it is treatable. According the ASPCA, if aggressive treatment is initiated early on, most puppies will make a full recovery. Parvo can also effect adult dogs, and there are certain breeds that are more susceptible. As for adult dogs, many become infected but never actually show clinical signs of disease. Rottweilers, Dobermans, pit bulls, German shepherds and Labrador retrievers seem to be at higher risk for the disease. Although we can't stop the virus from spreading, there are some things you can do to help protect your puppy from coming into contact with contaminated dogs or environments. Of course, the best preventative measure is to have your dog vaccinated. Keep puppies five months of age and younger away from pet superstore floors, dog park grounds, and anywhere else sick or recently adopted dogs might roam. Carry puppies across animal hospital floors, and don’t let them sniff dark corners. If you recently adopted a dog from an animal shelter or other source where she may have been exposed, keep her away from puppies for a couple of weeks. If your dog is sick, avoid taking him to public areas. 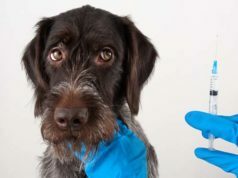 One of the most common questions asked about parvovirus is “Can I catch it from my dog?” There are many diseases that we can catch from our pets, known as zoonotic diseases. There is also a strain of parvovirus that does infect humans. It is known as parvovirus B19. Pet dogs and cats can get infected with other parvoviruses that do not infect humans. Pets can be vaccinated to protect them from parvovirus infection. Since parvovirus B19 only infects humans, a person cannot get the virus from a dog or cat. Also, dogs and cats cannot get parvovirus B19 from an infected person. Parvovirus is quite common. Many pet owners have shared their stories on the internet so other dog parents can learn from their experiences. PetUpon.com has published one of these blogs about Buddy, a black Labrador puppy that was diagnosed with parvo shortly after being adopted. 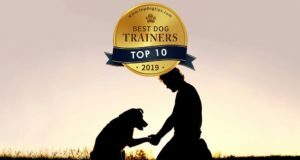 If your dog is diagnosed, or you just want some additional information from a pet owner who has been in these shoes, blogs like this are a great reference. Who knows more about caring for a puppy with parvovirus than someone who has done it? When we picked him up after the first day of treatment it became clear that the situation was much worse than we had thought. He couldn’t even lift his head; he hardly even wanted to open his eyes. We were told that he may not make it through the night. We spent the evening forcing liquids via syringe into his mouth to keep him hydrated and prepared ourselves for the worst when we got up in the morning. But he made it through the night. When our beloved pets are diagnosed with something as terrifying as parvovirus, we instantly feel helpless…and, at times, hopeless. Sometimes it is reassuring to read the words of another dog lover who has been in the same boat. Knowing that other owners felt exactly the same way can be comforting. It's also great to hear stories with a positive outcome. Nothing gives you hope during trying times more than hearing about someone who has been in the same position and come out on top. This blog post on Bowen's Dog Blog is just that – inspiration for puppy owners who are feeling hopeless. We were told that in most Parvo cases, the dogs get much worse before they get better. They said they often call the family with bad news (drop in white blood cell count, infection, dehydration, vomiting, fever, etc.) but that the dogs generally have a big turn around by the next day.